Earlier this month, the LOTRO devs at Turbine offered to play another game of Twenty Questions. Questions tackled a variety of subjects, from Lalia's Marketplace to PvP/PvMP updates, all the way to the tuning that goes into making each landscape difficult enough for certain levels. But perhaps the most important question of all, the one that's been on everyone's mind lately, is, "can you say anything about LOTRO ending in 2014 as some have predicted?" To which Sapience responded, "We plan to support LOTRO for many more years to come. 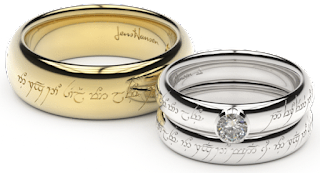 We are very fortunate in that we enjoy a great relationship with Middle-earth Enterprises. They visit our offices several times a year to check out our upcoming plans for LOTRO and continue to be very supportive." To read all twenty questions, visit the LOTRO forums! And if you're not already, be sure to follow them on Twitter so you don't miss the next round!